Fans of minimalism and interior designers alike get their money’s worth with the glass pendant light Vancouver. The round, bulbous design of the lampshade and the discreet colour of the satin-finished, white glass and the delicate metal suspension system make this hanging light a versatile all-rounder. The modern pendant lamp fits into almost any interior design concept and provides a cosy, pleasant light for a comfortable feeling. 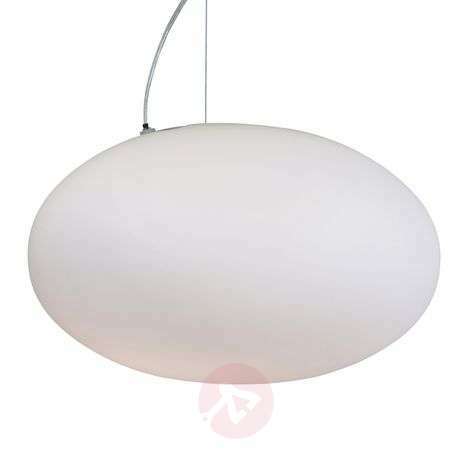 The hanging lamp Vancouver can be skilfully shown off above a dining, kitchen or living room table, in particular, and creates visual stimuli. 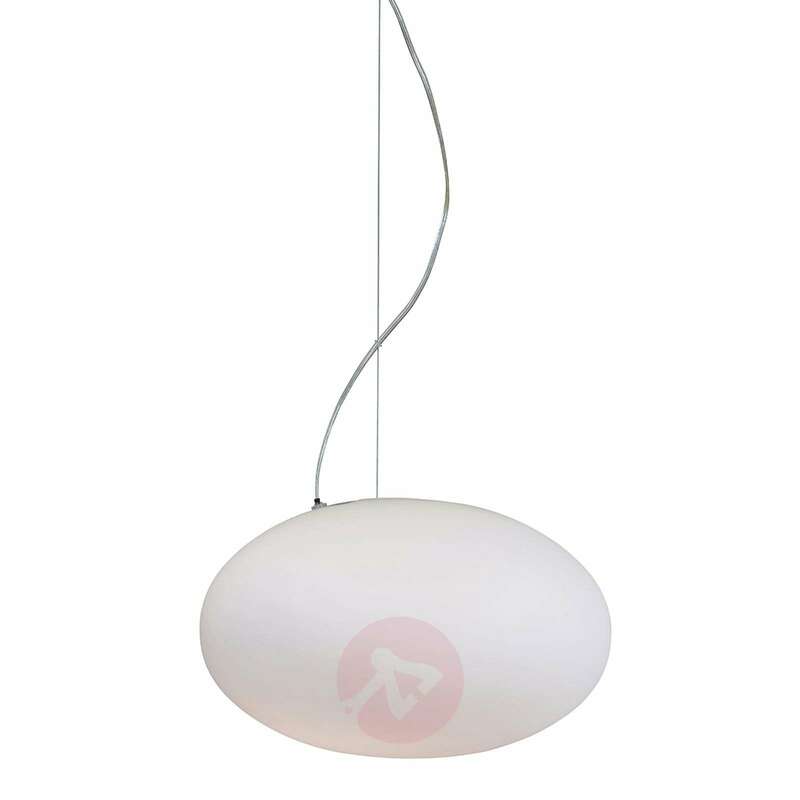 The curved cable routing makes the suspension system of the glass light just as attractive. In spite of its timeless elegance, the hanging light Vancouver can thus also be shown from a playful side.